After years of delays, the DC Streetcar launched passenger service Saturday morning. Mayor Muriel Bowser kicked things off at 10 a.m. with a ceremony at 13th and H streets NE. Regular service began after the speeches. The streetcar will make eight stops between Union Station and Benning Road just east of Oklahoma Avenue NE. The smooth, gliding trains will have to compete for the road with cars, cyclists and pedestrians. With no obstacles, the streetcar can get from one end of the 2.4-mile line to the other in about 20 minutes. But the ride will be longer if an obstacle blocks the tracks. Car crashes needed to be cleared from the path twice during a test ride News4's Adam Tuss took Friday. 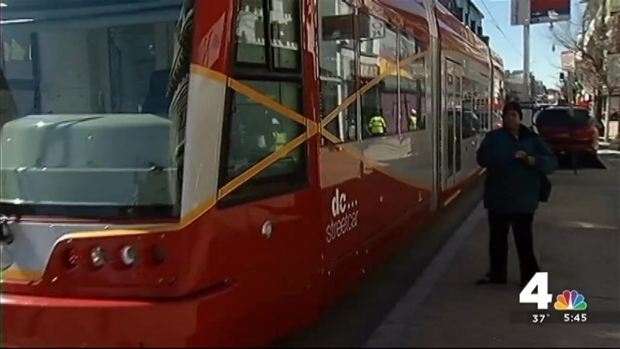 News4 transportation reporter Adam Tuss took a test ride on the DC Streetcar a day before the service launches Saturday. Tuss showed in December that he could walk faster than the streetcar. Streetcars are scheduled to run every 10 to 15 minutes, and can be tracked in real time. The service will be free at first. Once fares are announced, ticket machines will be installed at each stop. 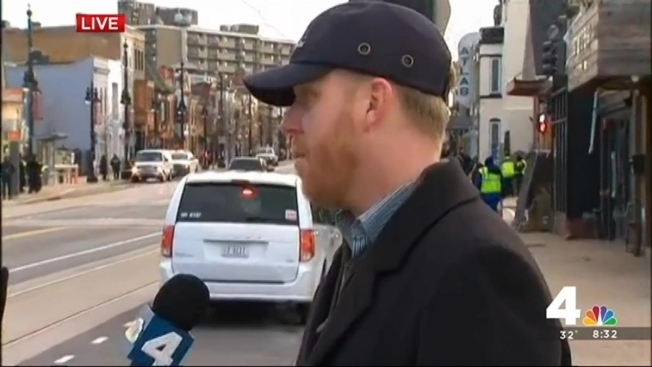 Bowser's transportation chief, Leif Dormsjo, told D.C. Council in March 2015 that he would scrap the long-delayed streetcar plan if he found it had "fatal flaws." He said he preferred to fix the project than abandon it. Musicians will play along the H Street NE corridor between 1 and 5 p.m., and H Street Country Club will toast to the streetcar from 5 to 7 p.m., the Streetcar website says.